I saw it on Motherscratcher's blog first. He's vexed. I'm ticked. And, I'm not surprised they traded Lee away, but am seriously befuddled by the whole deal. Lee and Francisco go to the horses, while the Tribe get four guys we will probably get rid of before the snow melts this winter. For me, this is personal. I mean, Cliff Lee lived down the road less than 100 miles from my house, played for the Razorbacks, snagged a spot on my favorite team, and then won a Cy to boot. Come on, people! Here is the list of pack recipients for this wave of giveaways. Sure, I could have just reached in picked packs, but where's the fun in that? 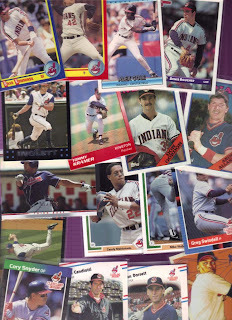 I am WAY behind on sending out major THANK YOUs to everyone that has sent me great Tribe cards over the month or so. Many of these came in while we were in NYC, and some have come in since we've returned. I hadn't taken the time to sit down and give proper thanks for the wonderful gifts I have received as of late, and I thought I would take some time to share the cards I've received lately. I do have a small disclaimer in that some of these did not have a return address, so I'm not sure who sent them. And, it is possible that I attribute the wrong cards to the wrong person. Please feel free to correct me if you see your cards posted under someone's name! I also believe that I have at least one package that got filed before I was able to post about it. So, my apologies to you, if you've sent cards and I have not thanked you for them. Without further adieu, let's get crackin!! Y'all are in for a treat! Starting things off, Max sent me two GREAT cards from '68! 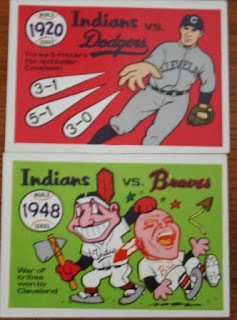 The cards feature drawn depictions of World Series events. In this case, one from Coveleski's three 5-hitters and one from the "War of tribes" in 1948. These are very cool additions to the collection! Thanks, Max!! The next group of cards come from Don, who lives 'down the road apiece' from me. Seriously. In fact, I used to work at SAU in Magnolia, AR, many moons ago. 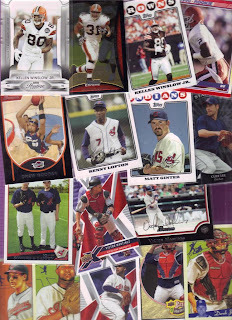 There are a lot of interesting items in here: Collector's Choice UD GOLD signature Thome, Stadium Club 'gold foil' Thome and Belle, Bowman Heritage mini Carmona, silver and gold versions of Electric Diamond Lofton, various Gold Rush cards, super-cool "credit card" types, teams cards, and more! I am looking forward to adding many of these to my collection. Thanks, Don, for some GREAT cards! The next set of cards comes from Steve over at White Sox Cards, I believe. My apologies if I'm wrong. 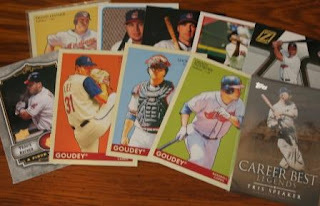 These cards include '09 O-Pee-chee, UD series 2, goudey, zenith, and a very cool Career Best Tris Speaker! Thanks a bunch!! Let's check out these next cards from Slette! I have to say the Career Best Garko jersey card is fantastic! 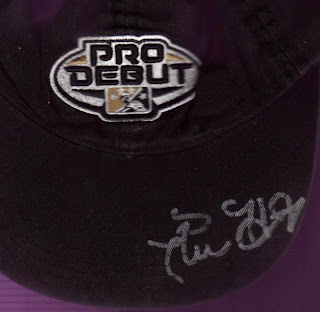 On top of that, we've got pronk, lee, vizquel, vmart, and many others including Bill Clinton. 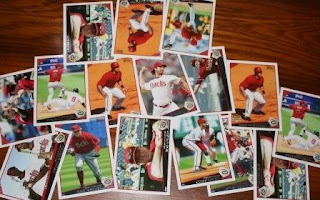 I love all the '09s he sent! It amazes me that Wood was chosen as the face of the checklist, given he just joined the team this year. Excellent stuff!! Thanks to Slette for a sweet selection of Tribers. The next package is from Worley (I believe that's Paul). 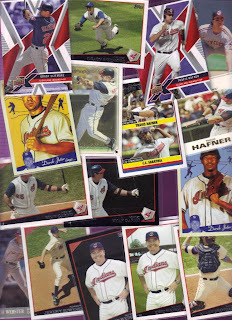 The Topps Stars Progression card featuring Carew and Alomar is awesome! Of course, the Roberto Alomar Ring Masters is card is spectacular. I have never seen either of those that I can recall. Add to those a cool mix of Heritage, Finest, and more. 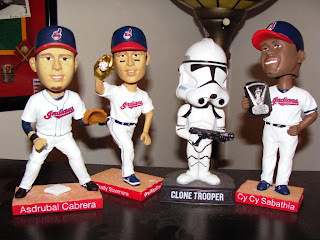 Thank you VERY much for these wonderful additions to my Indians collection. The next package of cards came the other day from the great girls over at Dinged Corners. Their note says that Lucy won a drawing at a local shop and she said: "We have to send David some cards for that great David Wright!" 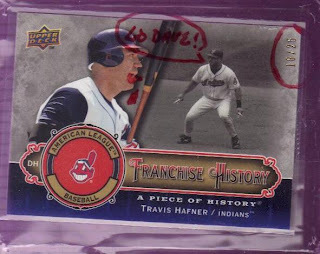 So, she picked out a sealed pack of the 2008 Indians Team Set. I can't tell you how much I appreciate that she thought of me when she could have had her pick of packs! 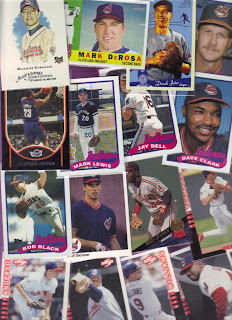 As if that isn't enough to more than "pay back" for the Wright auto card, they also included a bunch of other cards! 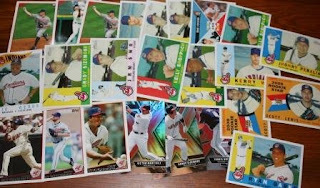 They also sent a Zach Jackson autographed card, several gold/serial cards, and a whole slew of Tribers from the 80's to 2009! Thank you so much!! It also included a hefty selection of Heritage and SPx! No matter how you cut it, this was a very nice package of cards!! Thank you so much! I just want to send out a HUGE, MASSIVE **THANK YOU** to all of you from the bottom of my heart!! Okay, here's the deal. I have basically exhausted the teams for which I have more than 800 cards. Those were broken down into the team packs listed on the right. The rest of my cards are not particularly organized into teams at this point, so I thought it would be fun to create "Randomly Random" Random Packs of Kindness! So, how do these work compared to the other packs? The same way as the others with one catch - you can ask for more than one randomly random pack! Ask for 1 pack, ask for 5 packs, whatever. You decide how much "kindness" you'd like to receive. All I can say is that each pack will have a randomly random assortment of players, teams, oddball stuff, serial/auto/patch, etc. The contents of each pack are not limited to baseball, either. I will be including whatever I have around here: non-sport, basketball, football, whatever! 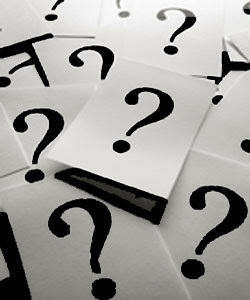 Oh, I know, you're asking yourself, "why on earth?" Because, despite my previous efforts to get a handle on the cards floating around the house, I still have massive amounts. Yeah, there's the whole selling on eBay thing, but honestly, I enjoy this much better! So, step right up and feel free to ask for 'randomly random' Random Packs of Kindness! NOTE: All teams listed on the right still have whatever available packs according to their individual posts. Remember, if I don't have your address, please email it to me! Okay, folks, here we go with the Brew Crew! It is time to give away Brewers cards! 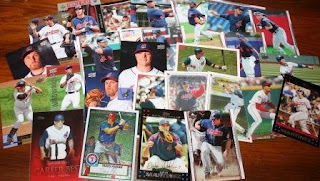 I've got TEN random packs to give away to the first ten folks that jump in for some of that blue and gold baseball goodness. 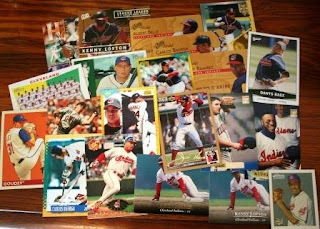 Remember, only one request per person per team, and make sure you only respond to this post for Brewers cards. And, as always, if I don't have your address, please send it to me. Thanks for reading! It's been waaaaaaaaay too long since I posted a team for Random Packs, so here we go! 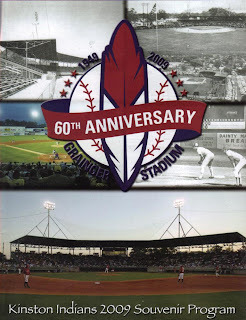 These guys are just down the Interstate from where I live (if you count about 4 hours as being 'just down'), and I have been fortunate enough to see a few of their games in person! 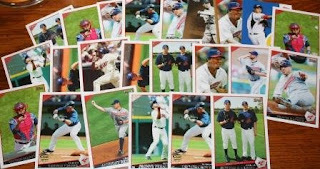 Come one, come all - er, well, up to TEN of you anyway - for FREE Texas Rangers cards/goodies! Remember, these are randomly packed and distributed, so you never know what you're gonna get! The first TEN requesters get a free pack, though, so respond to this post for your cards. If I do not have your address, please send it to me (davidinark@yahoo.com) and I'll put it in my database for future gift packs. 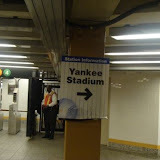 It's been a while since I've posted, and the reason is that sometime Wednesday night, I contracted something which eventually manifested itself into a rather nasty 'here is what you get for rooting for the yankees' virus/flu/something. I go to the doctor on Monday morning to see what he says, but according to everything my wife looked up, it's looking very much like the flying pig flu. For those who enjoy reading the ramblings of a swimming head, I recalled as best I could the events of the past couple days: here. For those who stopped by just to check in and say, "hi," I want to thank you for your continued readership on a blog that has yet to find any sort of regularity. You guys and gals are great friends and comrades! Hopefully, there will be an update soon!